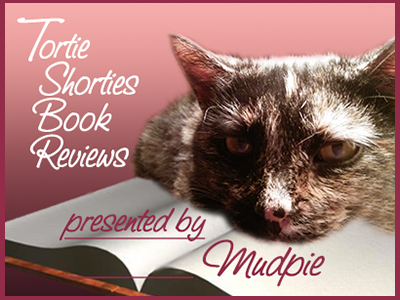 From the publisher: Sydney McCall left behind an ex-fiancé and a New York advertising job to return home to Deer Park, North Carolina and help her sister, Kat, run the local animal shelter, Friendly Paws. Determined to save the shelter from financial trouble, Sydney and Kat organize a cat café fundraising event at a local coffee shop. Things are looking up until their landlord, Trowbridge Littleton, threatens to shut down the event. When Sydney drops by his art gallery to make peace, she finds Kat--along with Littleton's dead body. I've been frothing at the bit to read this book ever since the day I laid eyes on the cover. A precious cat in a cozy cafe setting...what more could you want? Not surprisingly, the story inside is just as delicious! Syd has returned home to Deer Park, North Carolina to help her sister Kat with the local animal shelter, Friendly Paws. The shelter has fallen on hard times financially thanks in large part to landlord Trowbridge Littleton. Hopes are high for the pop-up cat cafe fundraiser they're planning at the local coffee shop until Littleton announces he not only hopes to shut down the event, but shutter the entire shelter as well! Threats are thrown but the sisters know they have to make amends, and schedule an early morning visit to Littleton's art gallery to prove to him that the shelter is a positive for the community. Their well thought out plan does not include finding the miserly man dead in an antique armoire in his office. Kat, who understandably will do anything to protect her beloved shelter, instantly goes to the top of the suspect list. 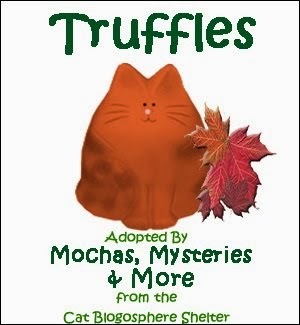 With no shortage of more likely suspects Syd takes it upon herself to clear her sister's good name, and she has a little help in the form of Toby the tabby, a handsome orange boy she's immediately smitten with who chooses her as his forever human. Together they form an unbeatable team and I'm looking forward to their many more adventures together. 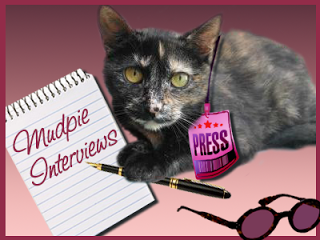 Mudpie was purring with excitement over the opportunity to ask the charming little fellow a few questions...she hopes you enjoy the interview! Welcome Toby! Thank you so much for chatting with me today. Could you start by telling us a little about yourself and how you came to meet Sydney? Meow, it is my pleasure, Mudpie. Well, I was a resident at Friendly Paws when Sydney came on board. She took a bit of a shine to me and I sensed something noble about her as well. As you might know, my nickname is “The Wanderer” and in all my travels I had not met as fine a human as Sydney. 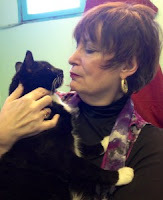 When I found out she wanted to adopt me it was the best day of my nine lives. You manage to find quite a bit of mischief as a shelter kitty! What's a typical day like for you? 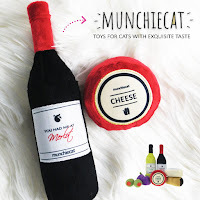 Well, when I lived at the shelter I would engage and play with the other cats, but I confess to having wanderlust in my soul, so I would flip the latch on my cage with my paw when no one was looking and slip out the back way and wander around the town of Deer Park, taking in the sights and sounds. Those days are over now, though, meow. 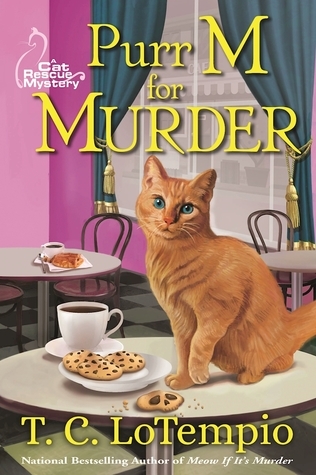 Tell us about Purr M for Murder, the debut of the Cat Rescue Mystery series you star in. Well, Sydney has relocated from New York back to Deer Park to help her sister run the animal shelter. One of her fundraising ideas is a cat café event, which doesn’t go over big with the shelter landlord, Trowbridge Littleton, who’s been looking for an excuse to shut down the shelter. Kat mouths off at him and the next day Syd goes to Littleton’s art gallery to make peace and finds Kat –and Littleton’s dead body. Do you help Sydney solve any of the mysteries she becomes involved in? 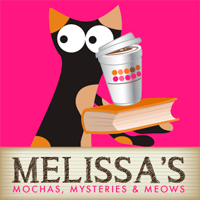 Meow, I do give Syd some clues to solve Littleton’s murder, but I wouldn’t classify myself as a feline detective as, say, Nick Charles of the Nick and Nora mysteries. My style is more laid-back. I’m afraid the only thing I could do with Scrabble tiles is chew on them. What made you decide to choose Sydney as your forever human? As I said, there was just something noble about her that appealed to me. We cats can sense a kindred spirit! Well, not to give too much away, but our next adventure centers around a charity booksigning, a long standing feud…and murder. I have been wanting to read this book ever since I heard about it months ago! 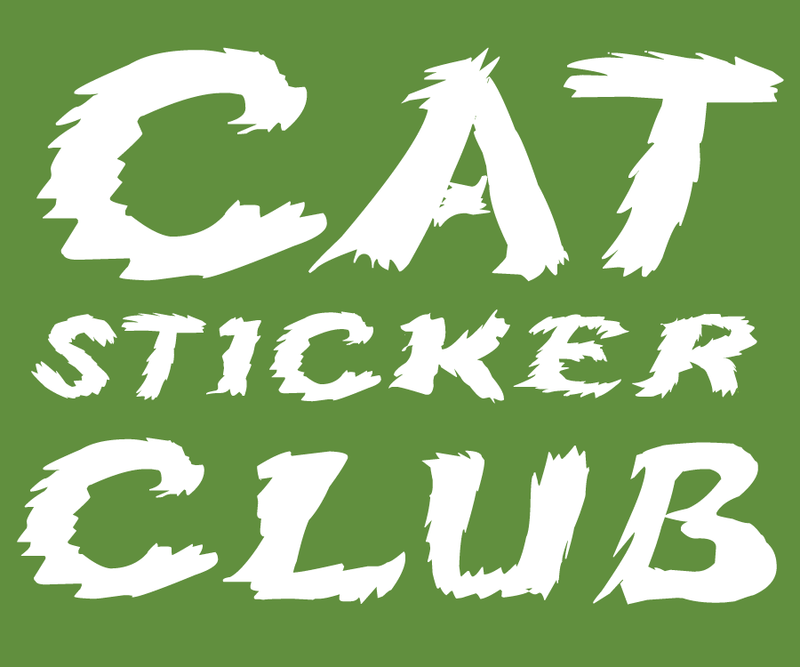 Animal rescue, a cat cafe, and an orange tabby. This sounds like something destined to be at the top of my to-read list! This is a fantastic review of a what sounds like a fantastic read. 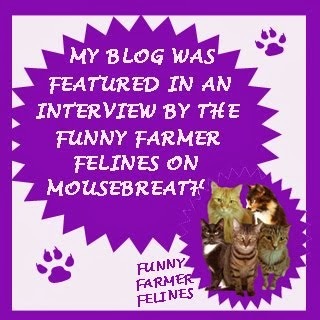 And that was a purrfect interview, Mudpie and Toby! I've put in on every giveaway for this adorable looking book so I hope I luck out one of these times! I just wish it was coming out right away in paperback which is a tad more affordable. Toby looks like my barn cat Fred when he was a kitten! 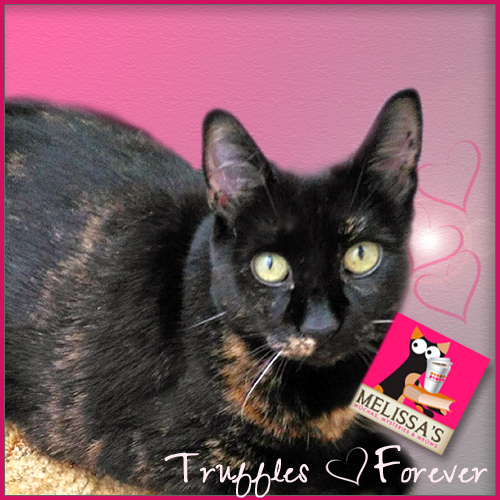 Thank you Melissa and Mudpie, for hosting me! It was a pleasure as always. Thanks Tari! PURR will be out next year in trade paperback. In the meantime, good luck with the giveaways! That looks like a really good read. I've never had=the opportunity to read your book, but it looks and sounds like a terrific book. Thank you for this great giveaway. I love the Cat Rescue aspect to the book! Sounds like another great read ... well done, Mudpie! I love the sound of this book. What's better that a mystery and a cat helping to solve the mystery. Can't wait to read. I'm really looking forward to reading this new mystery. There are plenty of cozies that feature cats, but I don't recall any featuring cat rescues, the #1 way to adopt a cat. Good luck with it. What a fab interview, Mudpie! We love your graphic. What a great interview! I've been wanting to read this ever since my mom sent me a flyer about it. a kitty on the table!?? I bet you would never do that right mudpie! Fantastic interview Mudpie. Thank you for this chance! You're right, that is a great cover!!! Definitely adding it to my to-read list! This sounds like a really great book! Thank you for the great write up about it.